On a sleepy Sunday morning on Anton Parkway where Pizzeria Ortica sits, the street is notably deserted…aside from a few crows that got lucky with a late night Burger King bag. There are no leaf-blowers, no joggers, and no one to interfere with your preferred Sunday hobby: day drinking. 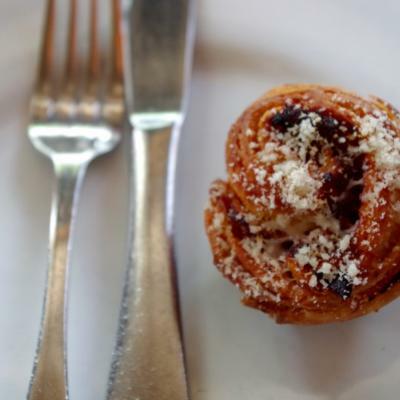 And Pizzeria Ortica has you covered with its new weekly brunch service, six cocktails in all. 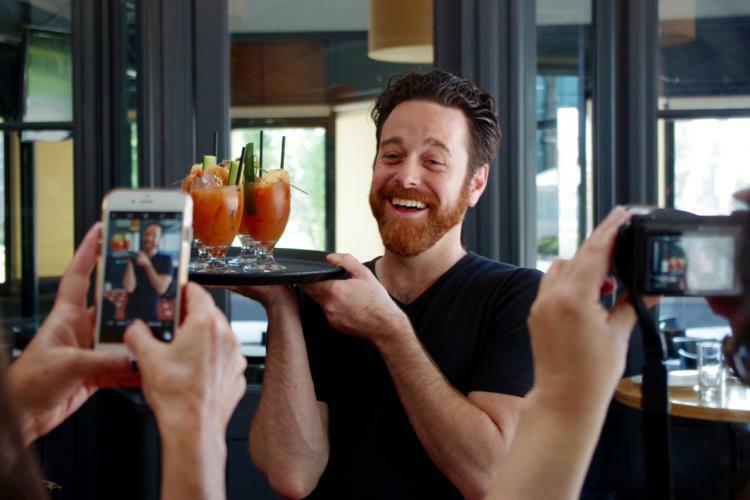 Red-bearded Joel “Amaroguy” Caruso is the Groundskeeper Willie to the bar program, and his brunch cocktails aren’t your typical pyramid of drunken tomato juices, they’re actually landscaped to fit the food offerings. Complimentary morning bun to start off brunch! 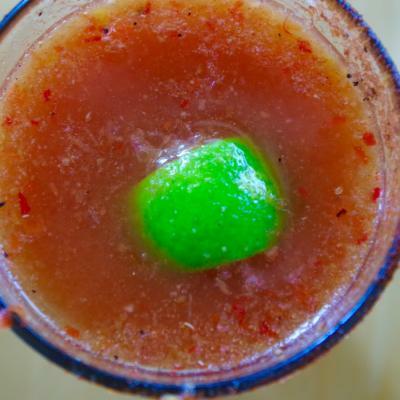 It’s no shock that drunken tomatoes make up half of the cocktail list, being a brick-oven, Naples-style eatery, with two bloody mary options and a brothy Michelada. The Vegetarian bloody is made with house-pickled veggies for $11, and The Pescatarian, which offers a choice of tequila or gin, swims with house shrimp stock and pickled prawn for $14. If you go michelada ($10), don’t be afraid to get mezcal supplement for an extra $3, and by all means, add ice as you get near the bottom as a warm ‘chelada is no bueno. If you prefer your tomato consumption in food form, by all means, grab an El Duderino, Amaroguy’s take on a white Russian. The combination of house-made corn punch and Borghetti coffee liqueur tastes like a velvety root beer float somehow ($11). For the basic mimosa drunk in your brunch bunch, a bubbly P.O.G. Spritzer is offered, marrying passion fruit, orange and guava juice with sparkling wine in a long-stemmed glass for $10. 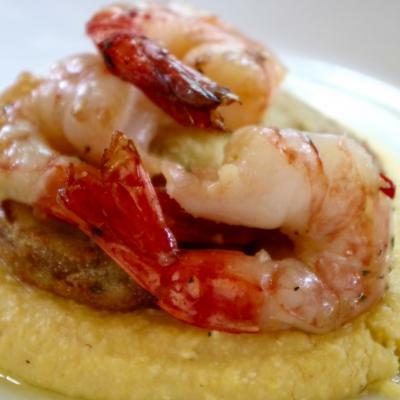 Eight very good taps and bottles of local craft beer and wine are also offered, but one can’t say brunch without recommending a couple dishes: The squash blossoms filled with house-made lemon ricotta tastes as great as it looks, and you must try the wood-grilled shrimp, smoky and plump on a fried green tomato raft atop Anson Mills polenta. Previous articleSix of the Best Poke Places in O.C.